A great depiction of our military men and women is on our U.S.M.C.The Few. The Proud. T-shirt and sweatshirt. Choose a U.S.M.C.The Few. The Proud. coffee mug and show your pride and appreciation! 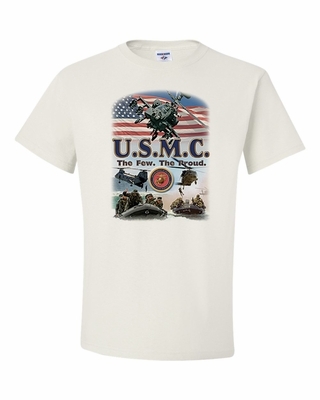 Remember� you found the U.S.M.C.The Few. The Proud. Shirts at TShirtHub.com, where high quality came at a low price.